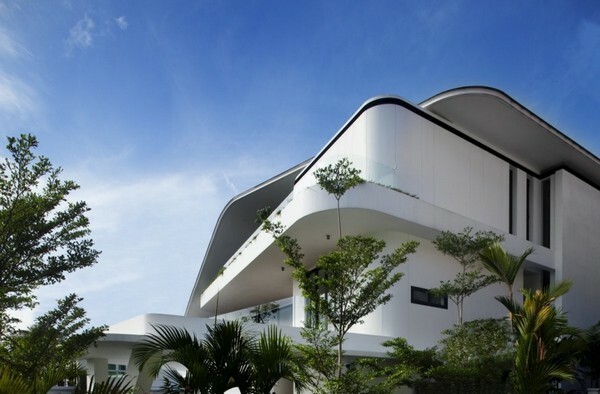 Today we want to show you unusual and intriguing architecture project called “Ninety7 @ Siglap”. 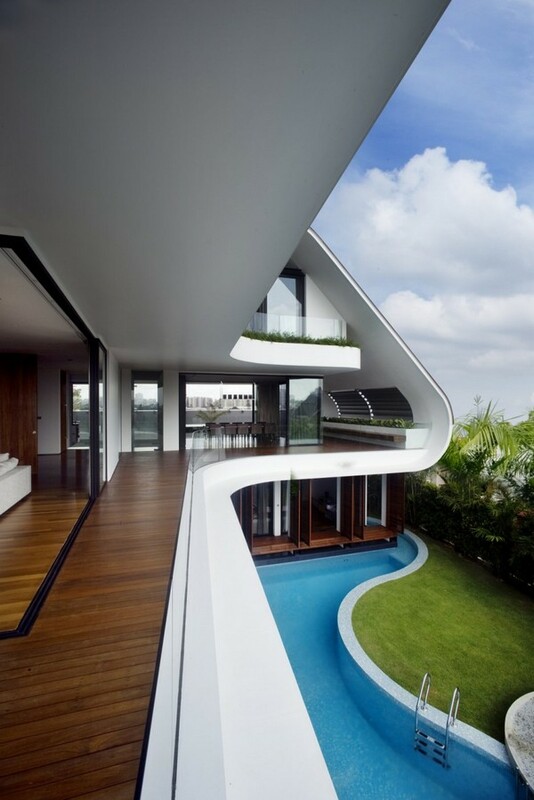 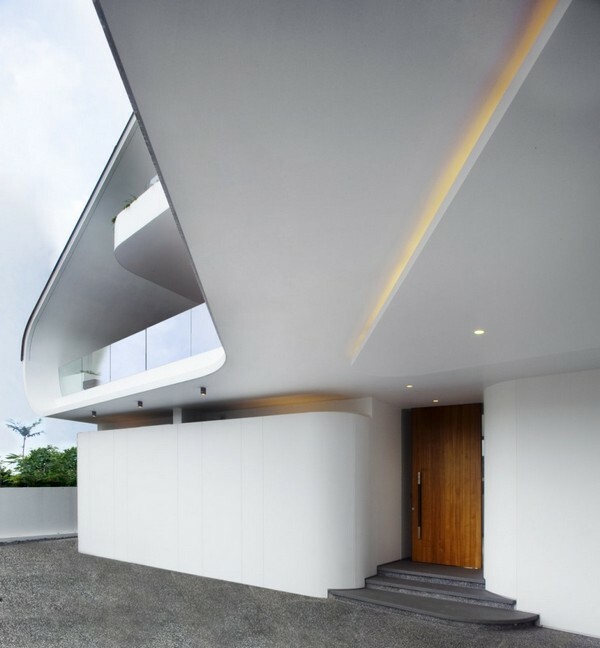 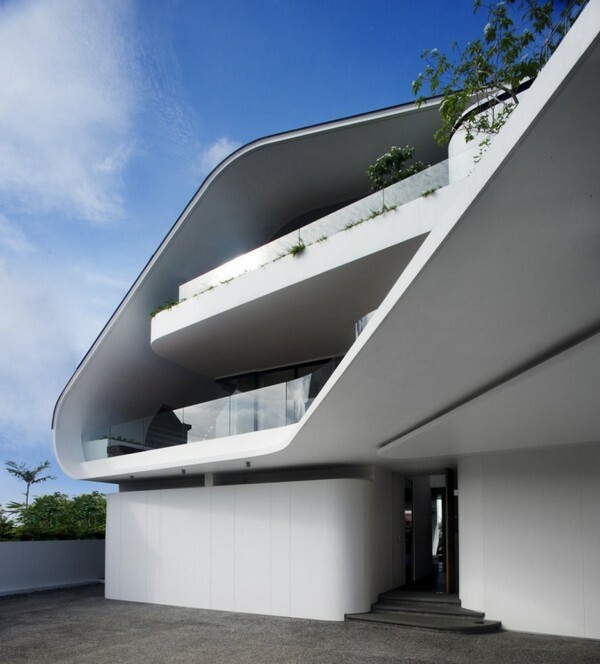 This beautiful house was designed by Aamer Architects and is located in Singapore. 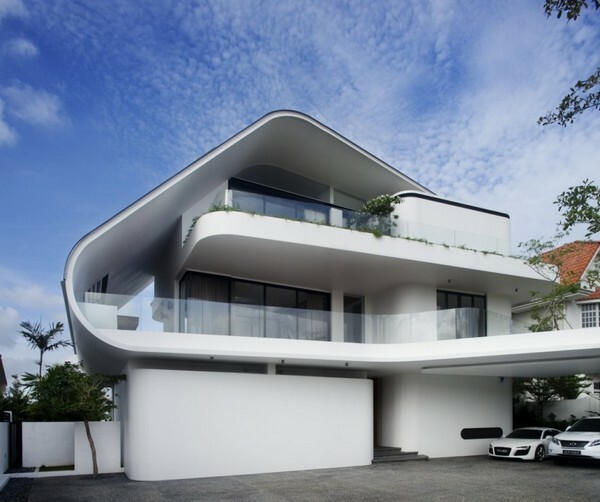 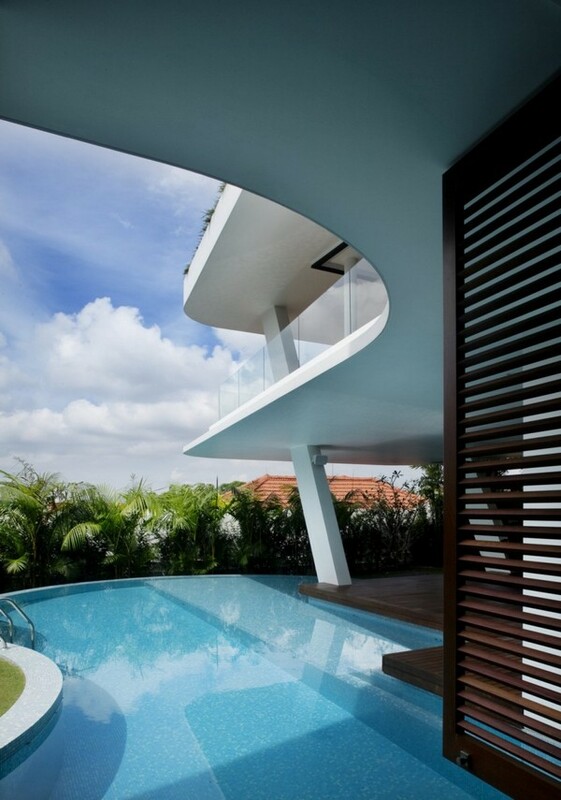 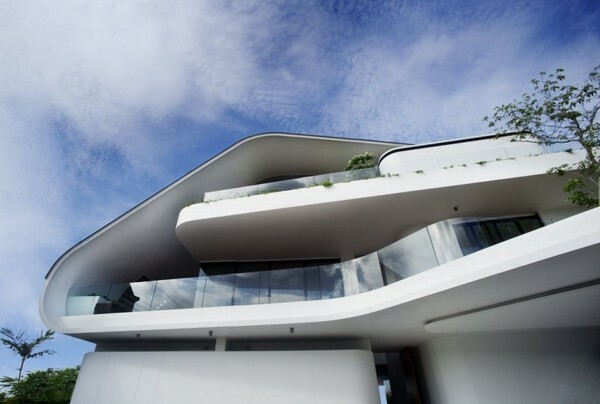 Magnificent views that can be observed from atop Siglap Hill inspired designers to create such creative house. 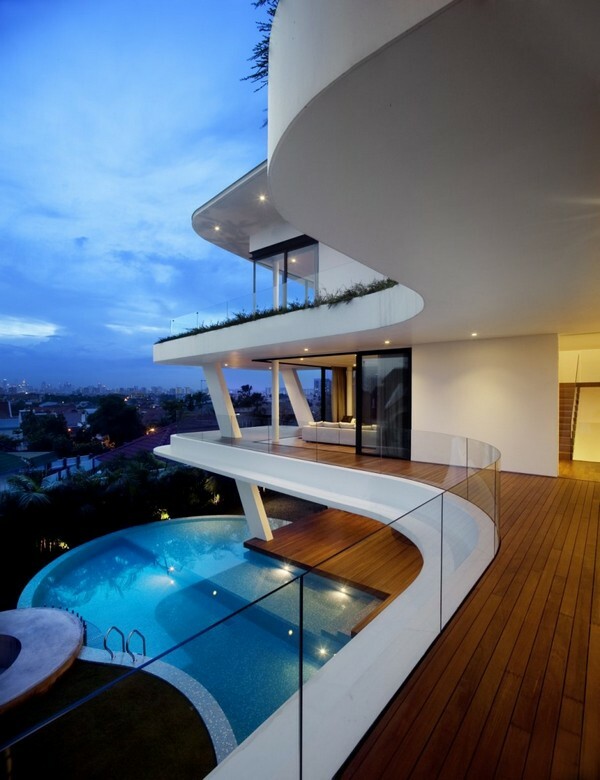 By the words of architects: “Master and family room are placed on the third level having the best views. 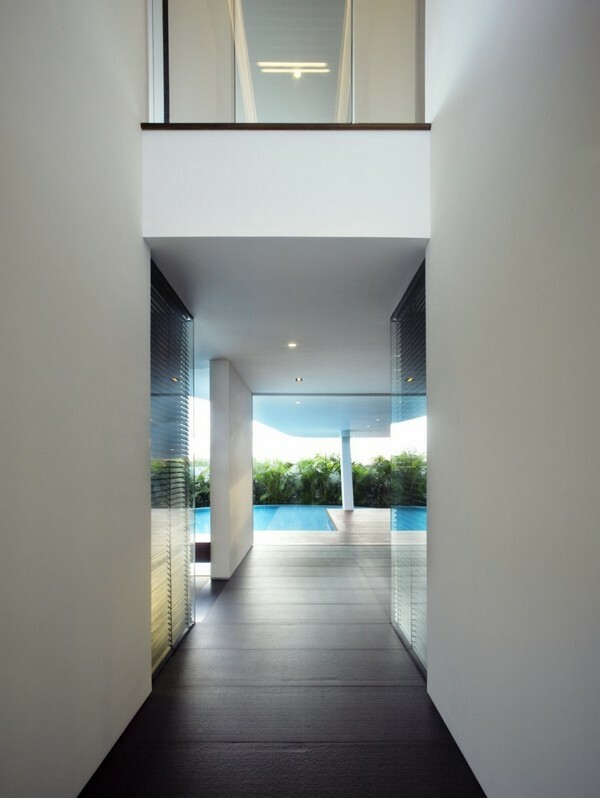 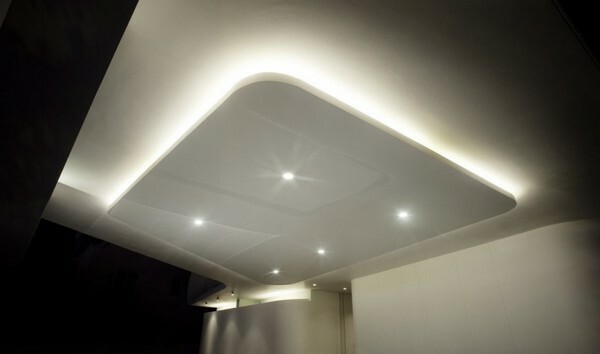 Living and Dining on the second level, connected with external verandahs / terraces that flow upwards and fold into the roof form with deep overhangs for sufficient shade and channeling the breeze through the whole house. 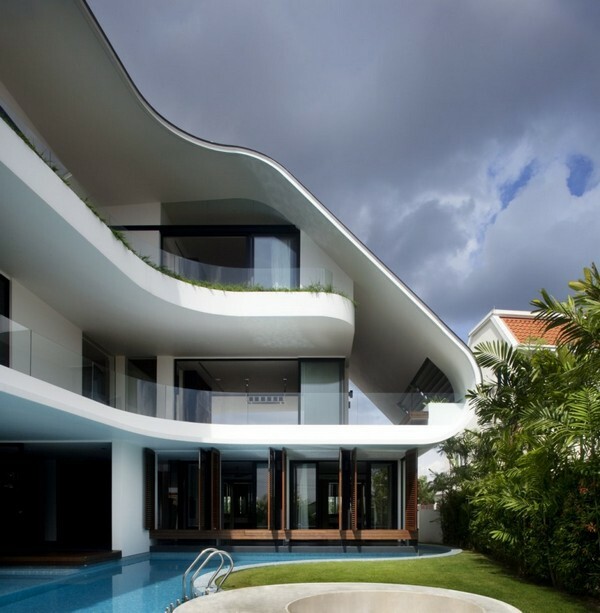 Two resort style “Cabana” bedrooms are located on the ground level by the pool with a large open/covered terrace for poolside parties. 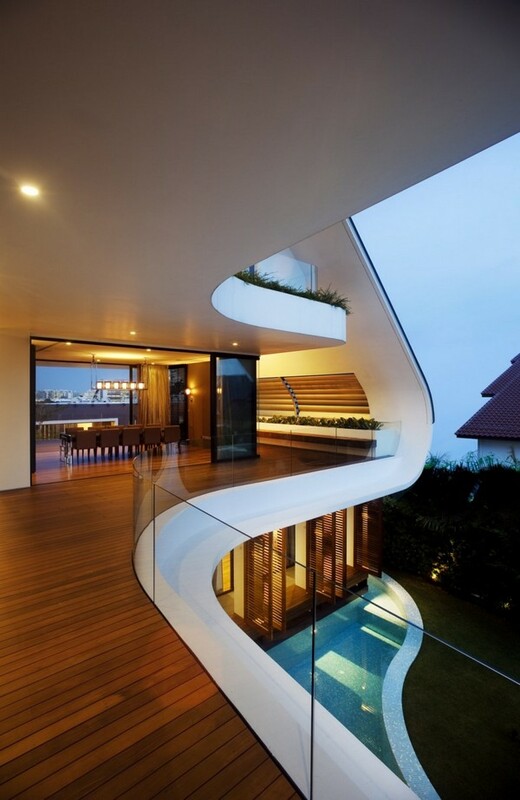 A sculptural metal “drum” anchors the “ship” to the ground and houses the toilet/shower and barbeque pantry. 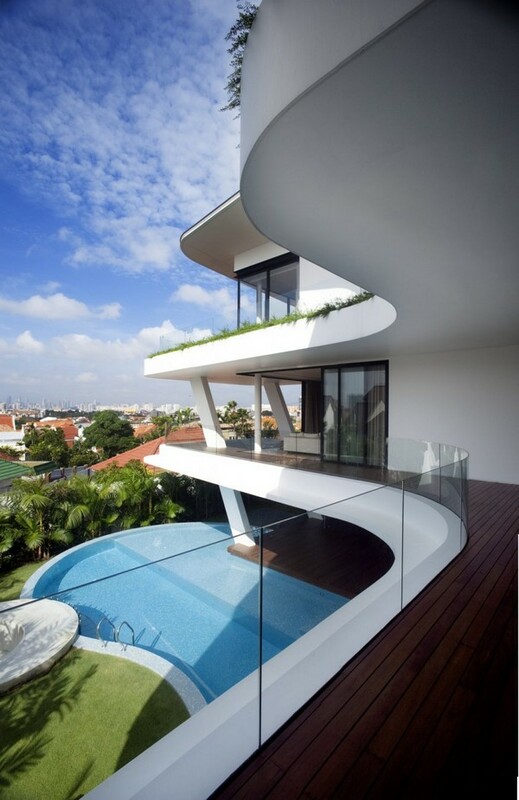 Roof gardens and timber decks provide added insulation from the sun”. 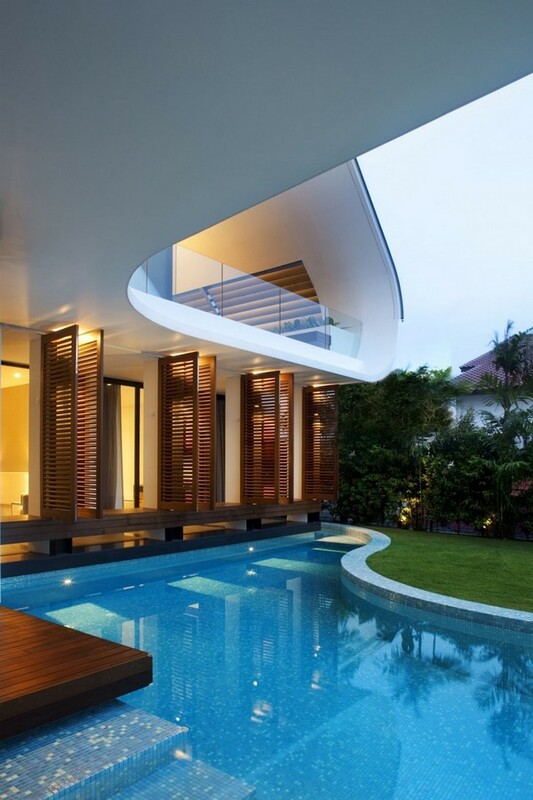 What a beautiful house! 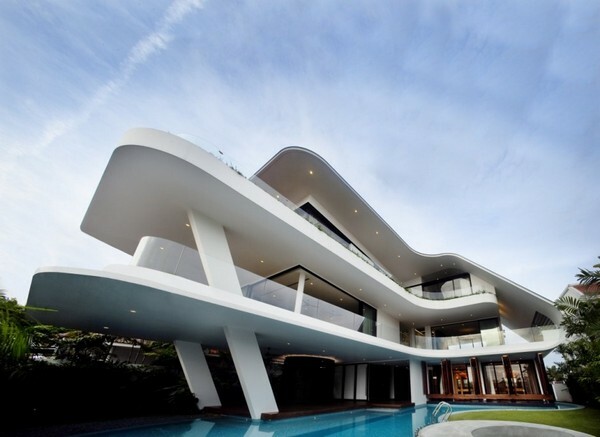 Definitely unconventional with all the curves. 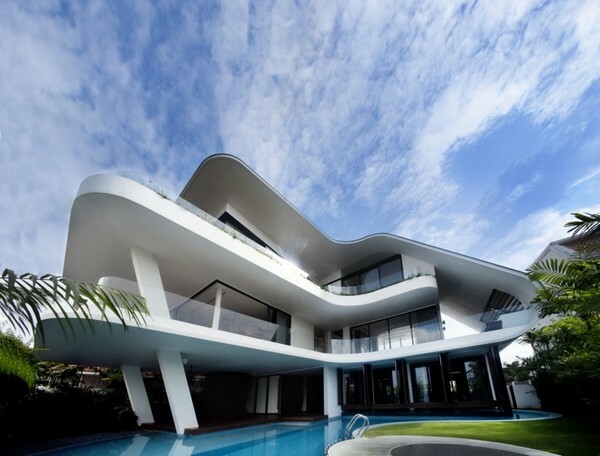 It must have cost the owner a hefty sum but look at the results. 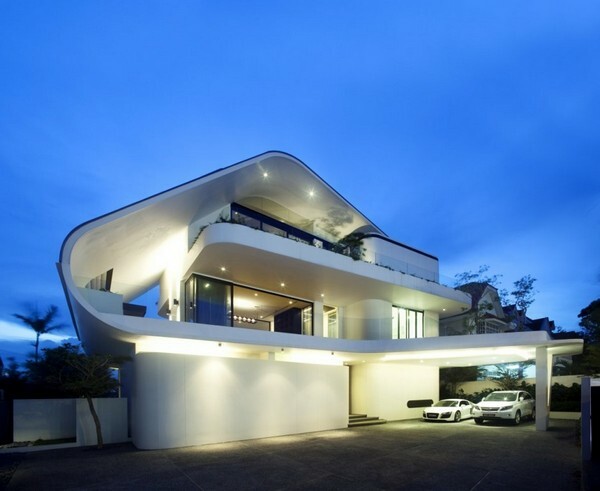 He must like white a lot since his cars are also white.